I'd like to introduce you to a precious woman after God's heart. She has been an on-line friend for several years; I've read her books and adore her. Yet, after reading her newest book, I am more in love with this woman's heart than I ever thought possible. 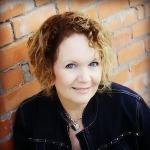 Alene Snodgrass is a motivational writer, speaker and teacher who loves to tell the untold story. She speaks around the country at conferences, retreats, and women’s groups sharing Christ through her real life experiences. She is the author of Dirty Laundry Secrets – a Journey to Meet the Launderer and I’m a Fixer-Upper – A Day-by-Day Remodeling Guide. Alene's new book, 'Graffiti', is written by herself and a new friend of hers who happened to live life on the streets and is a beautiful combination of God's love from both sides of the tracks. This is not a book review, which will come soon; it is just an introduction to a beautiful woman with a heart for the things of God. "Being broken for others is hard because it isn’t about clean success stories – from rags to riches, from the streets to the skylines. But what I now know is that true purpose and meaning is not clean; it is mostly messy. It’s about getting dirty daily with those who are broken, down-and-out, frustrated, depressed, and struggling to find their way. It is about getting dirty so they can become clean." I invite you to hop on over to her Graffiti website to learn more about Alene, her friend and the book which will be released soon. You can also read more of her heart by checking out her blog, Positively Alene or her facebook page, Alene Snodgrass, You Will Be Blessed!! !